Add water, lime juice and sugar to a small saucepan over medium-high heat and simmer for approx. 1 – 2 min. until sugar has dissolved. When slightly cooled, mix in gin and tonic and set aside. 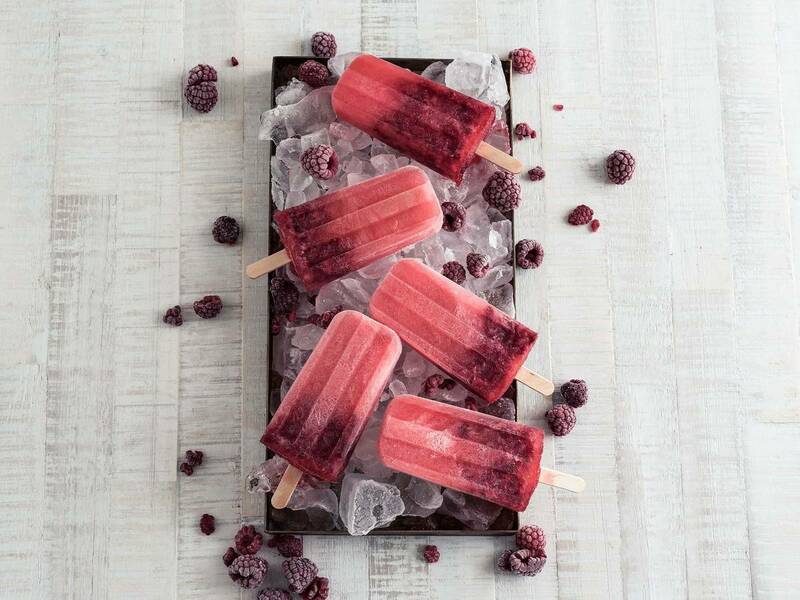 Use a rolling pin to mash up raspberries in a sealable plastic bag and add to popsicle molds, approx. 1 tbsp. per mold. Fill gin and tonic mixture into molds. Transfer to freezer and leave to set for approx. 6 hrs., or overnight. Enjoy!